It was so nice to see Grand Designs Live in London. Even though in Australia our building standards and housing requirements are quite different it was nice to see a mix of different designs and ideas. Here's an idea for a hanging chillout space. 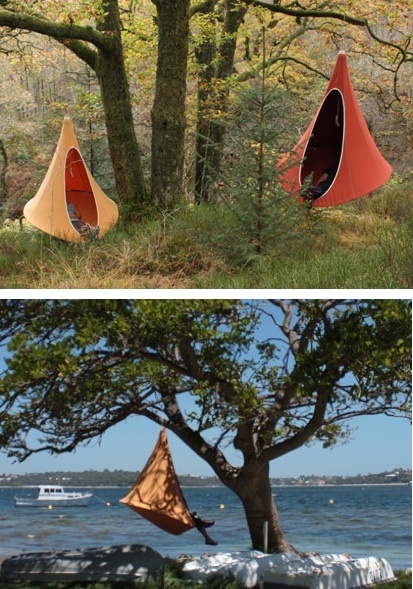 These alternative hanging structures are by Hang In Out and can be purchased on-line or here in Australia. 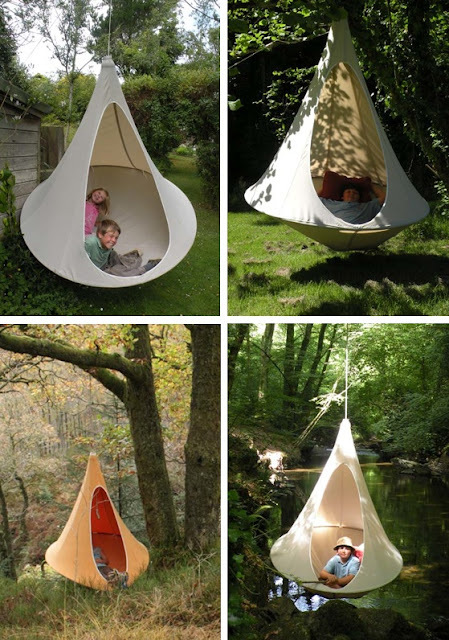 Designed for children and adults alike this design takes the hammock to another level. Made from acrylic canvas and marine sail cloth they come with UV protection, can be hung from anywhere and have additional insect screens. 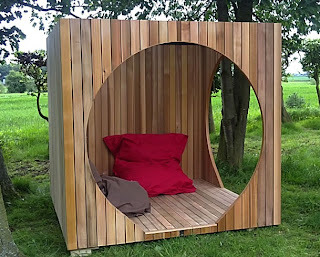 Having sat in one at the show I can vouch for how comfy they are! Long gone are the days of the 'Potting Shed'. Say "Hello" to the modern 'Man Cave' or garden pod, garden office, playroom or outdoor dining area. These outdoor structures from Contemporary Garden Rooms have a wide collection of outdoor garden spaces to suit all your needs. It is constructed from cedar and plywood and comes with a rubber roof. 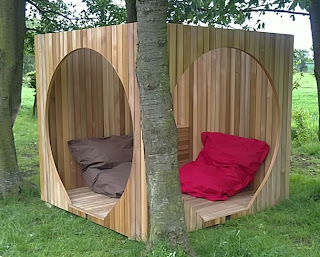 A great solution for creating an additional outdoor eating area, a relaxation room or playroom. 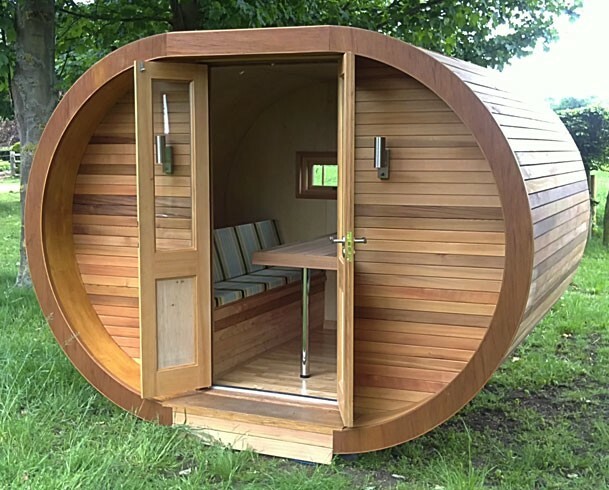 This pod is constructed from Cedar and comes as a fully-insulated unit with double glazing, lockable doors and windows, seats and a table that folds down or stows away to make a sleeping area. 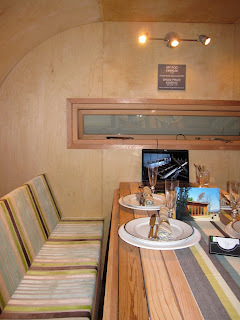 I know my husband would love this as his musical 'Man Cave'! Also, if you live in the UK these units are less than 2.5m in height so no planning permission is required! More and more companies are now popping up with artificial grass as a more practical option to the real thing. 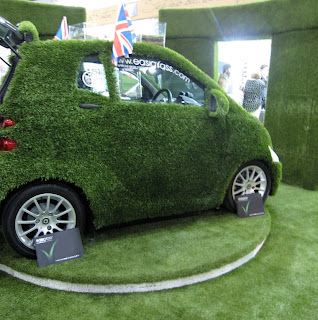 This family of grass is from Easigrass in London. They have many different types for different uses and looks such as outdoor gardens, garden function areas, sports grass, indoor displays and child play areas. Although not a complete substitute for a well planned drought tolerant garden it allows for another option in our time poor lives and decreases the risk of those nasty ant bites! 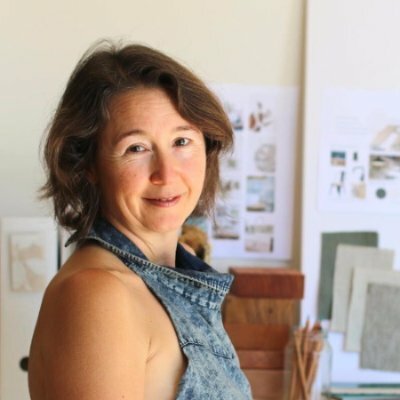 I only know of one friend that has recently installed artificial grass here in Brisbane and that's Michelle from Paper Tree Studio. I will have to pop round soon and see how it looks and feels. Lisa I adore the cacoons! They are so fun and unique!! 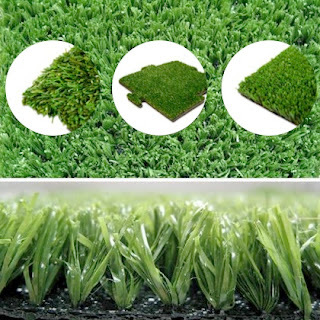 The use of artificial grass can be qualified to the benefits it can bring like you’ve mentioned on your blog. It seems children are having fun on that cacoons and I love to try it! I like that cacoons. very awesome design. If it is available at near i surely but that. Grass plays an important role in enhancing the look of your house. I use in my house. It looks very beautiful. Thanks for informative post.